Is Lily Allen a Neo-Luddite or Just Dissatisfied about Twitter? 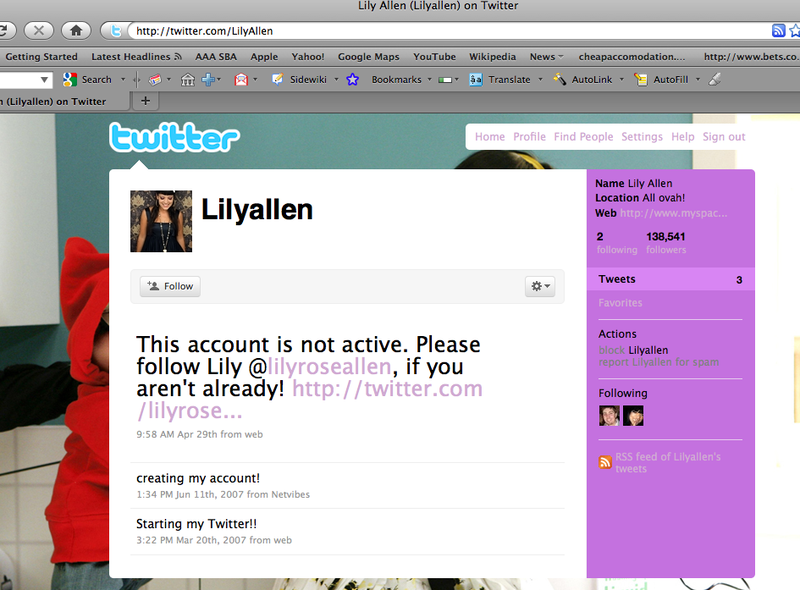 When Lily Allen – English singer – left a note saying she’d quit Twitter, 2 things come to mind. Firstly, its annoying even those who are famous. Did Google ever do that? Secondly, what about the 138,541 followers who also are now thinking twice about following someone else. So despite Lily saying she was an “Neo Luddite” I think there are just so many times you want to or have something to say to someone else. The guys up the road in San Francisco at Twitter HQ should be watching carefully as it’s becoming ridiculous how people feel an elephant herd mentality to “tweet” everything. Its like having online tourettes syndrome. Maybe that’s why Lily swears so much in her lyrics! 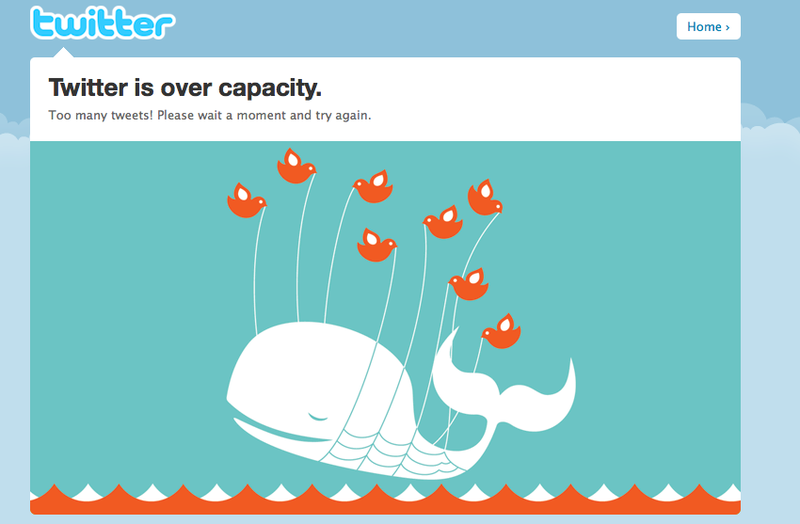 For the record Twitter was down again today! Probably gave everyone some peace from the tweeting I’m subconsciously hearing these days. One of the secrets of MySpace success was the reputed members which switched from FriendFinder when their service crumbled under a technologically weak infrastructure. I remember sitting in a meeting in LA in 2005 and listening to people who worked at FriendFinder and them lamenting about how their technology platform failed. The story goes here in Silicon Valley that MySpace picked up lots of dissatisfied FriendFinder customers. When I hear of Jack Dorsey, who coded Twitter, working on other projects, I put two and two together and voila – we have the real issue. The guy who built the app is not there to oversee it. I’ve seen shooting stars before and when entrepreneurs see this happening here in Silicon Valley, they pounce. Beware of your trajectory Twitter, programmers who understand scalability and inflection points of customer dissatisfaction are watching. I like my coffee and find inspiration in sitting with iPhone in one hand, double expresso in the other, flipping the NewYorkTimes.com or other websites around the Content Revenue Strategies Conference we run twice a year – looking for new start ups that need help. Raised in the coffee capital of Melbourne, Australia, its easy to consume 3-4 cups per day. So now I find myself in cafes from the famous Buck’s of Wooside to Coupa Cafe in Palo Alto to Peets in Menlo Park. Whilst the coffee is different, there is the familiar site of two guys sitting around talking about their start up company. So I’ve noticed that often, the same people go to these cafes and are often talking to different people. They have a knack for striking up conversations with others and so welcome to Silicon Valley, where coffee is helping – as it has done for centuries – people pitch ideas to each other.